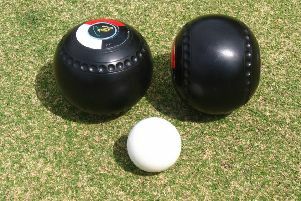 The Bowls Scotland National Championship finals begin at Ayr Northfield on Monday with challengers in the Gents Junior Singles and the Ladies and Gents Seniors Singles the first into action. Edinburgh’s two-fold attack in the Junior Singles brings Dean Macintosh of London Road Foundry and Danny McCourt of Parkside into focus as the champions of Districts 14 and 15 respectively. Mackintosh takes on Andrew Wilson of Burnside (Rutherglen) on the 3.30pm session while McCourt’s first-round test is against Craig Burns of Hurlford (Kilmarnock). Teenager Darren Pearce of Kirkliston represents the threat from West Lothian and the 19-year-old is well-equipped to make an impression. Pearce takes to the green on the 1.30pm session and launches his campaign against Ryan Murray of Barr & Stroud (Glasgow). Garry Mitchell of Gilmerton carries the banner for Midlothian and the draw pitches him against Darien Swankie of Arbroath at 3.30pm. Also strating in that session is Joe Mower of Haddington. Mower – a recent recruit from Wales and a World Indoor Junior Champion – lines up against John Reid of Gourock Park. In the Gents Seniors Singles, Slateford ace Gordon Ramsay flies the flag for Edinburgh District 15. Ramsay, no stranger to Ayr Northfield but yet to set the heather on fire there, starts against Sandy Jenkins of Bainsford in 11.30am session. Jim Robertson from the competitive Maitland camp is also a prominent figure in the Capital and the Edinburgh 14 challenger will hope to stay in contention at the expense of George Buchan of Stonehaven, his opening opponent on the 9.30am session. Expectations are high for Midlothian District champion Lindsay Plenderleith from Bonnyrigg. Plenderleith – a former Scottish Pairs champion – goes head-to-head with Hugh MacDonald of Blacklandmill while Andy Burt of Haddington and East Lothian faces John Curror of Stamperland. Robert Saunders of Whitburn and West Lothian tackles David Farquharson of Westhill (Skene). Opening day also sees the first round of the Ladies Seniors Singles. Helen Spence of Bruntsfield and District 14 takes to the green at 1.30pm and faces Liz Peat of Willowbank (Glasgow). Janet Heatlie of Lutton Place and District 15 has an earlier 11.30am start against Morag Jones of Muirhill & Birkhead (Dundee). Angie Uttley of Glenmavis-Bathgate represents a West Lothian camp that celebrated the title triumph of Doreen Reeder of Kirkliston in 2014 and she opens (11.30am) against Fiona Kerr of Bellshill & Mossend. Dot Lavin of Kirkhill and Midlothian faces Betty Melville of Inchture at 9.30am while, at the same time, Janet Fairnie of Castlepark and East Lothian opens against Nan Davies of Cardonald. The brother-and-sister act of Scott and Gillian Mackintosh bid to emulate their 2011 title success in the Mixed Pairs and the District 14 champions are joined by the Balerno District 15 wife/husband partnership of Helen and Kenny Girdler. Sandra Steven and Richard Mark of Uphall Station represent West Lothian, Craig Hodge and Maureen Reid of Loanhead MW (Midlothian), and Caitlin Thorburn and Andy Burt of Haddington (East Lothian). • MIDLOTHIAN bid for glory in today’s final of the Hamilton Trophy against Lanarkshire South at Crieff. The team – managed by Drew Pearson of Bonnyrigg – has reeled off nine wins on the trot and extending that to ten and claiming the Cities and Counties Championship is in the hands of six top-line skips in the shape of David Peacock, Scott Briggs, Danny McDougall, Colin Bonner, Colin Walker and Graeme Archer.